Marriage 13 Jun 1856 4 Bell Lane Spitalfields London under aus. of BMS&PCon. 1861 census family living at Whites Row, Spitalfields with surname BITTON. 1871 census at 18 John Street, Brick Lane, Whitechapel with occ. of Abraham given as 'Hawker of stockings'. Extract from 'The Jewish Victorian' (Doreen Berger) dated 11.4.1873, "The sympathy of the jewish public is solicited on behalf of Abraham Bittan who has a wife and nine children. He has for many years earned a livelihood by honest industry but owing to a severe injury met with while riding on an omnibus has been in London and St.Bartholomews hospitals for several months past and incapable of following his usaual employment. This misfortune has caused the breaking up of his home and left him destitute". 1881 Census living at 18 John Street Whitechapel - named as BETTAN. 1891 Census living at 4 Spelman Street Whitechapel. At death left £260 to wife Mary, worth £15,000 in 2012. At marriage living at 8 Hutchinson St. Houndsditch London. Mentioned as witness with brother-in-law? Isaac Bittan in old Bailey trial 30th Nov 1863. At marriage living at 17 Floreston Street London.1881 Census name spelled BITTAM & living at 100 White Horse Lane Mile End London. 1891 census at 65 Hamilton Road, Bethnal Green. 1901 census family (other than Mary & Aaron) living at 120 Freemantle Road West Ham. Attend Jewish Free School November 1869 to 26 April 1875. School birth record given as 12th April 1862? ( A brother Henry also recorded at Free School from November 1872 to Ist June 1875 with birth record of 4th March 1865.) Home address at marriage 13 Freeman Street, Spitalfields. No trace after 1891. 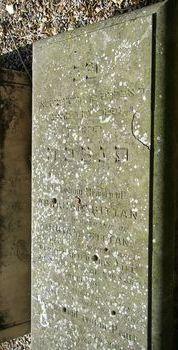 Recorded as 'Henry' born 4/3/1865 attending Jewish Free School from Nov 1872 to 1st June 1875. Address at marriage 11 Fordham Street, New Road. Recorded as born 14/1.1867 attanding Jewish Free School from Apr 1874 to Feb 1880. Later known as Soloman?